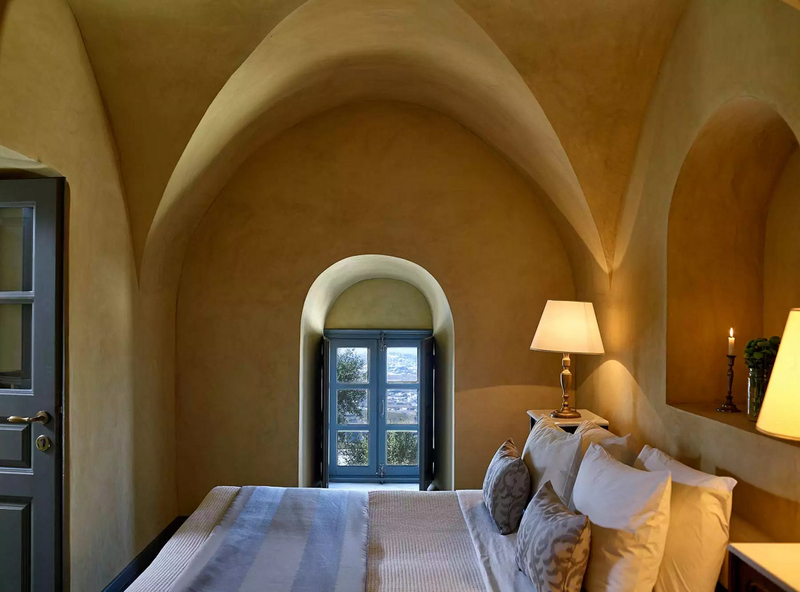 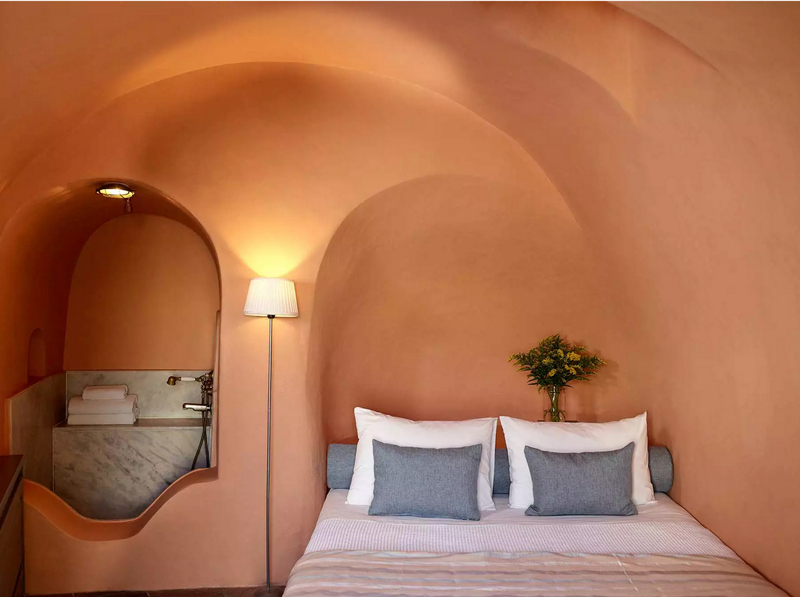 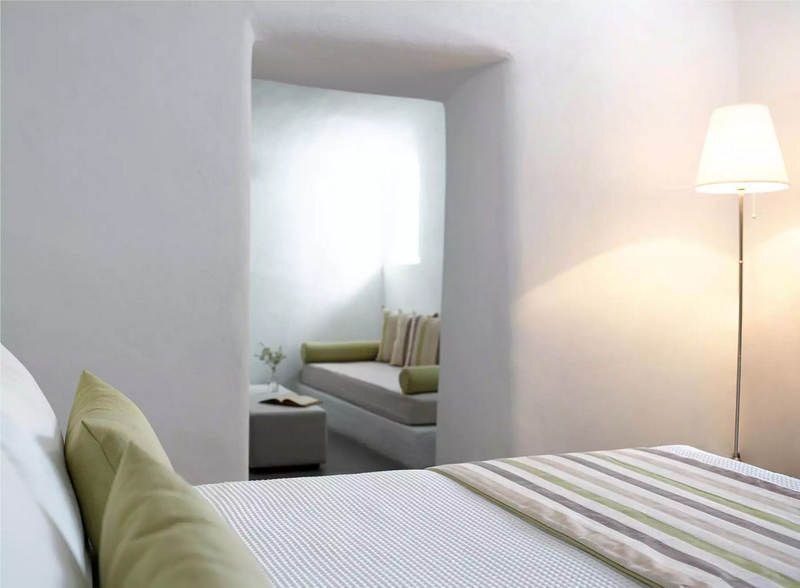 Zannos Melathron is a unique renovation which transforms an old mansion into a hotel in the Cycladic landscape. 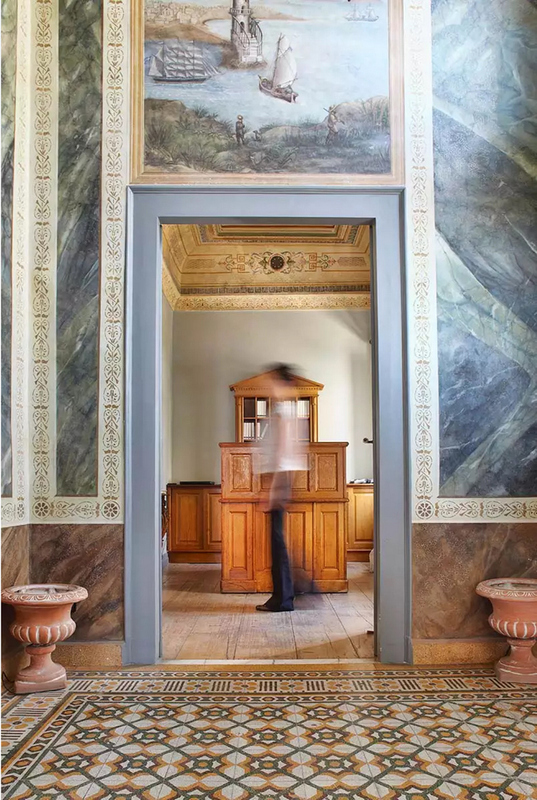 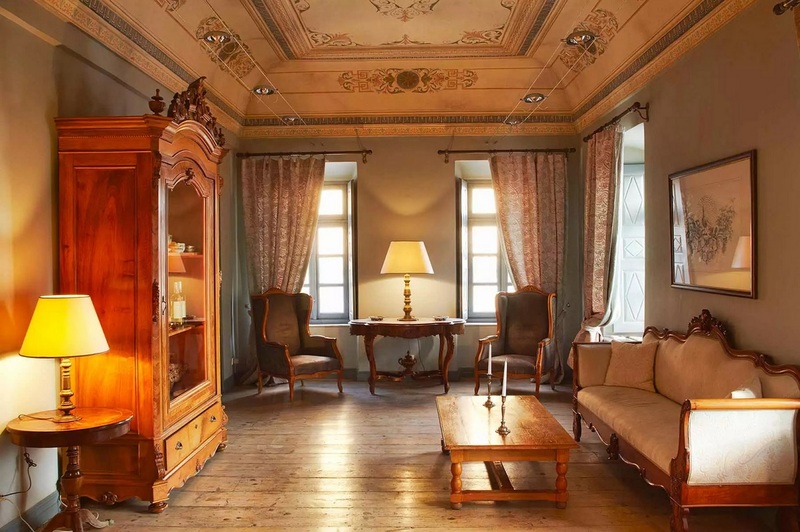 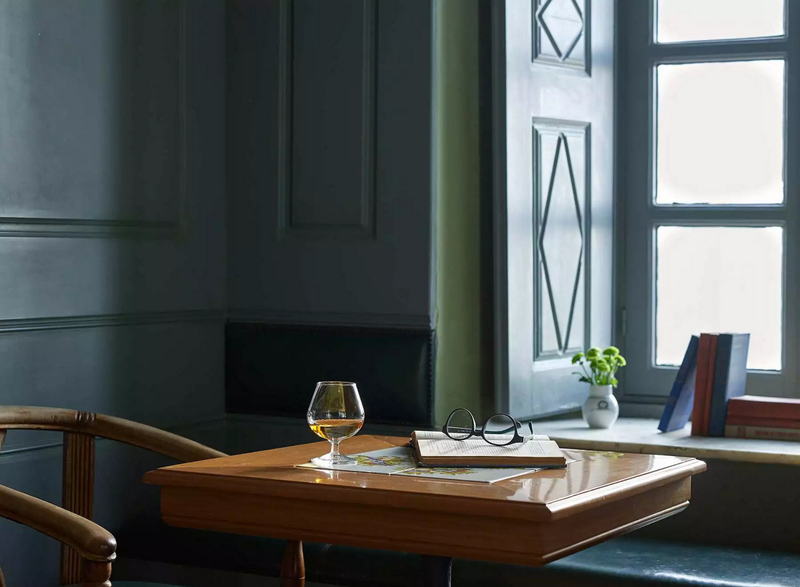 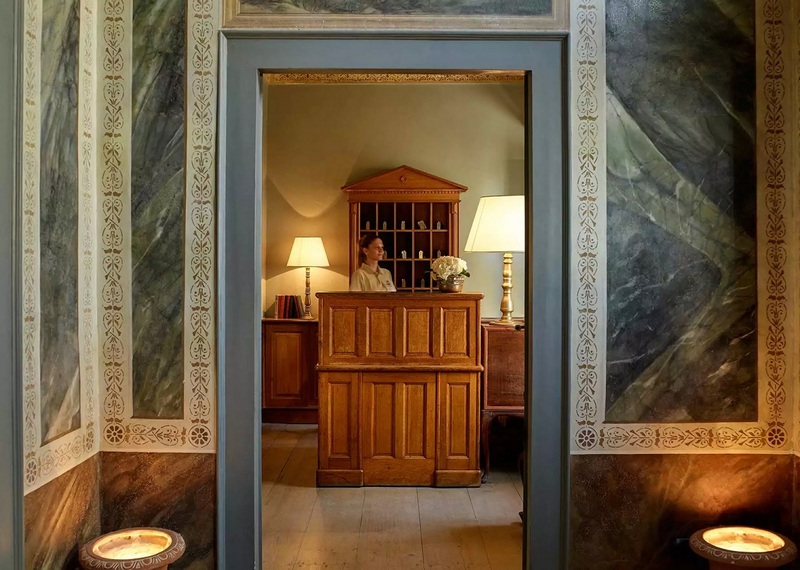 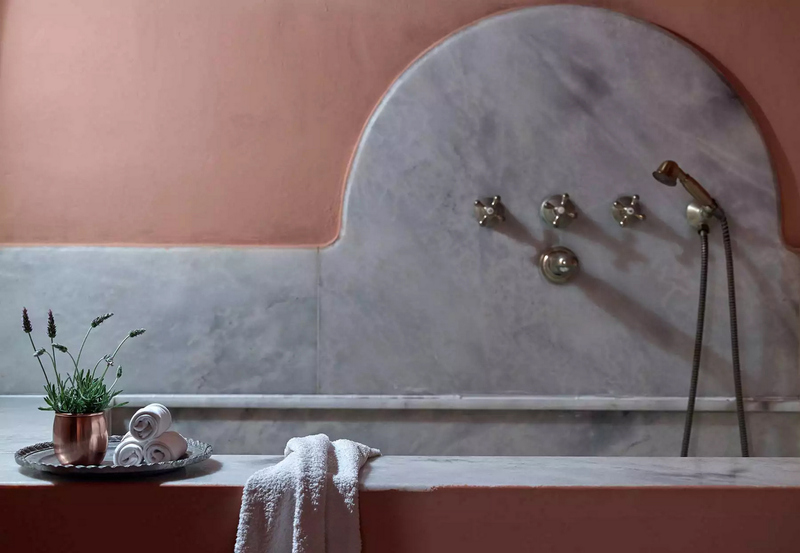 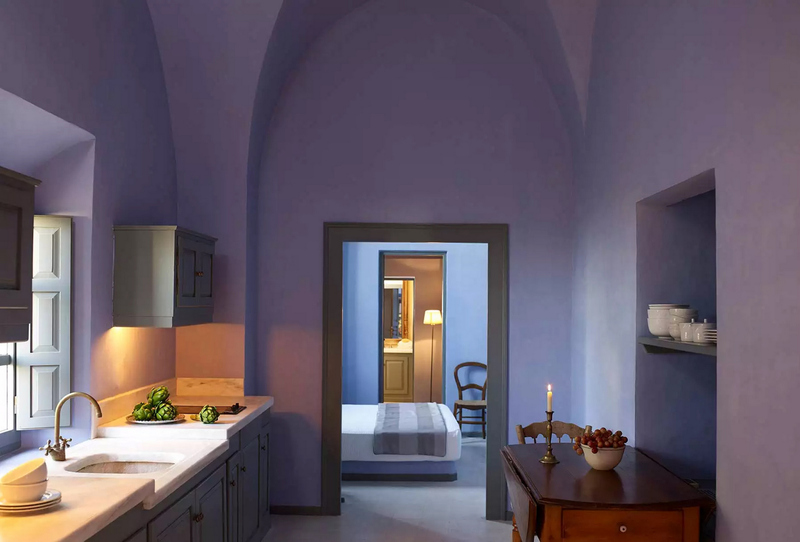 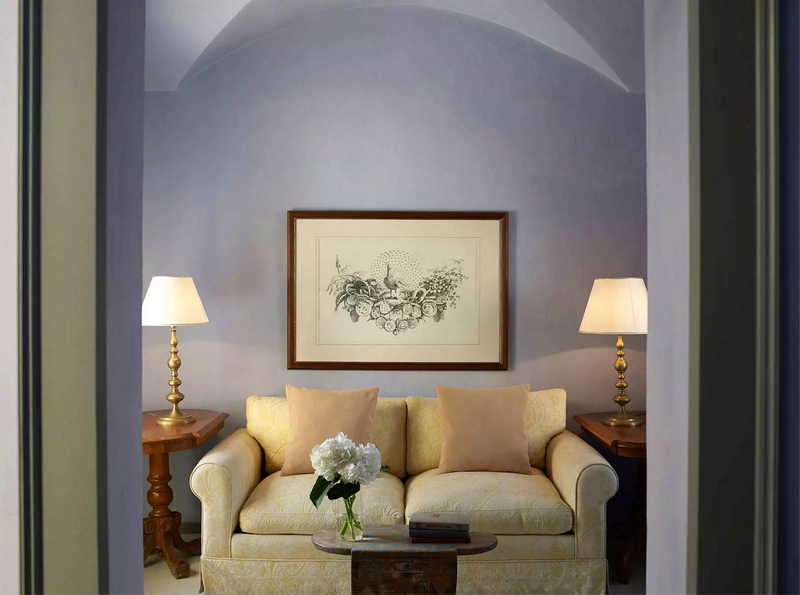 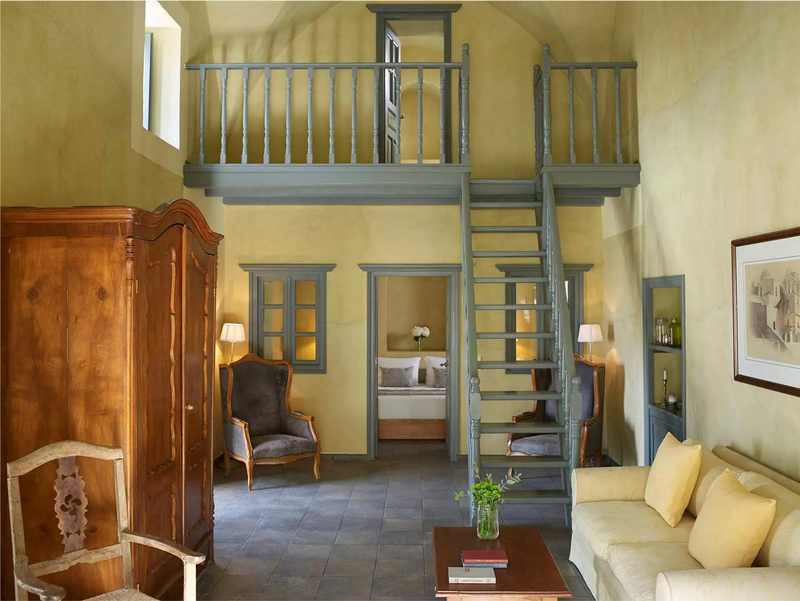 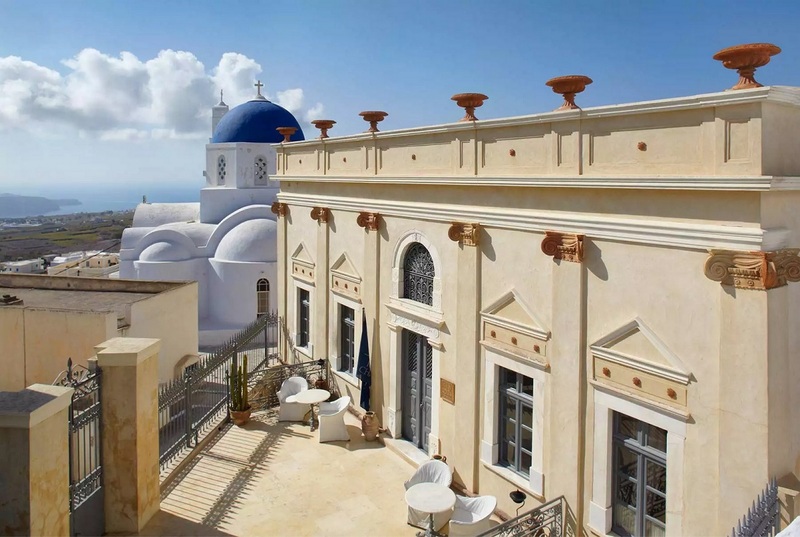 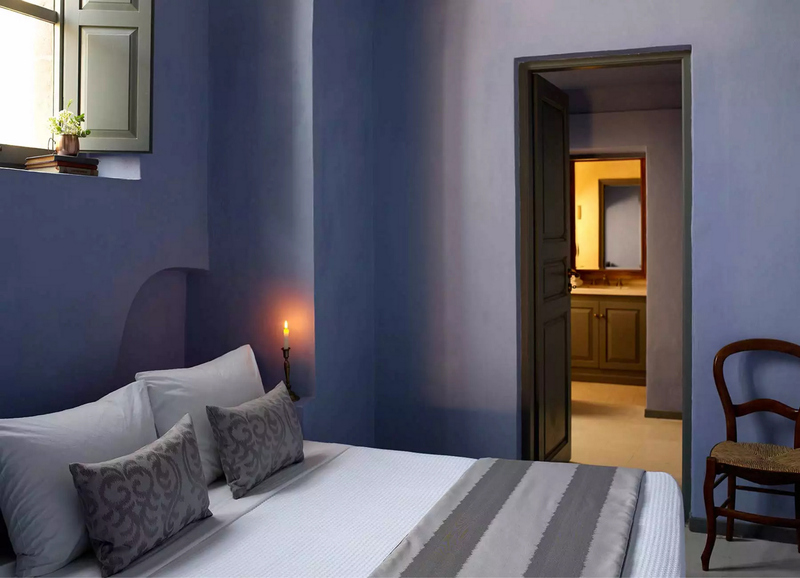 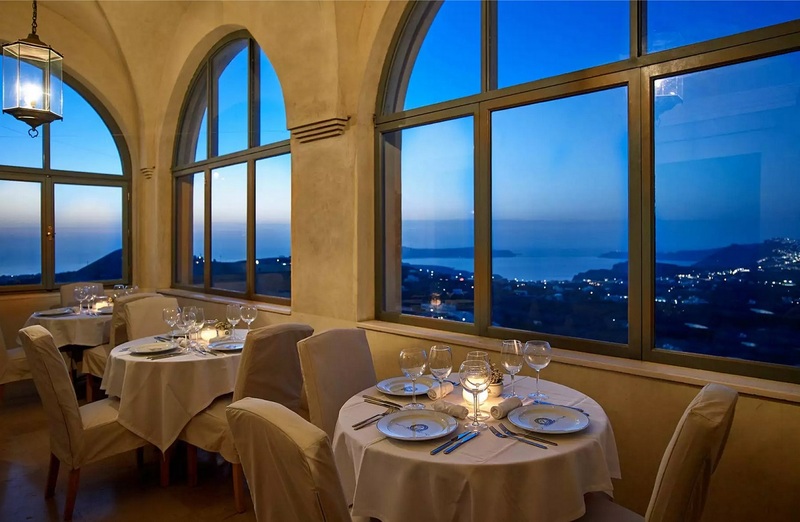 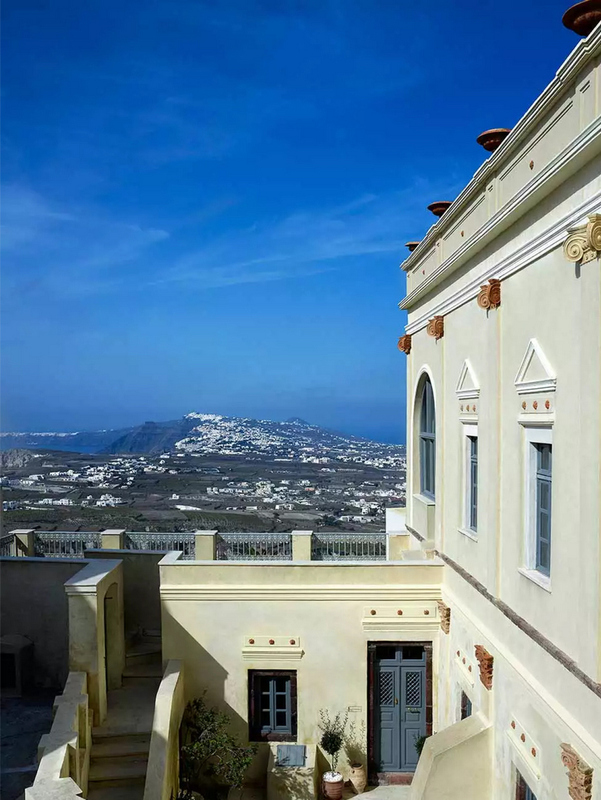 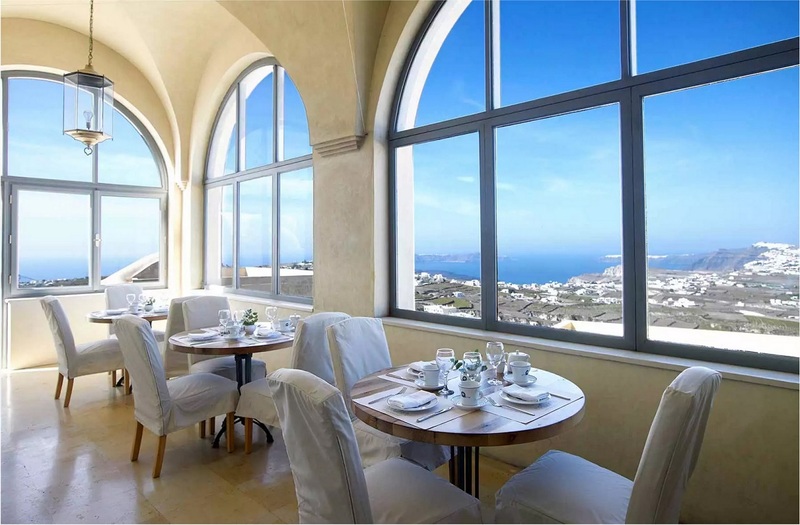 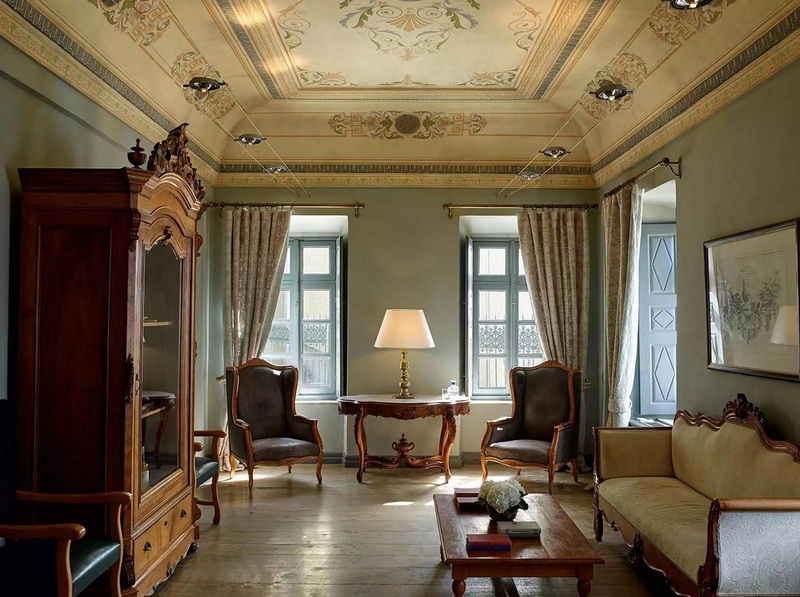 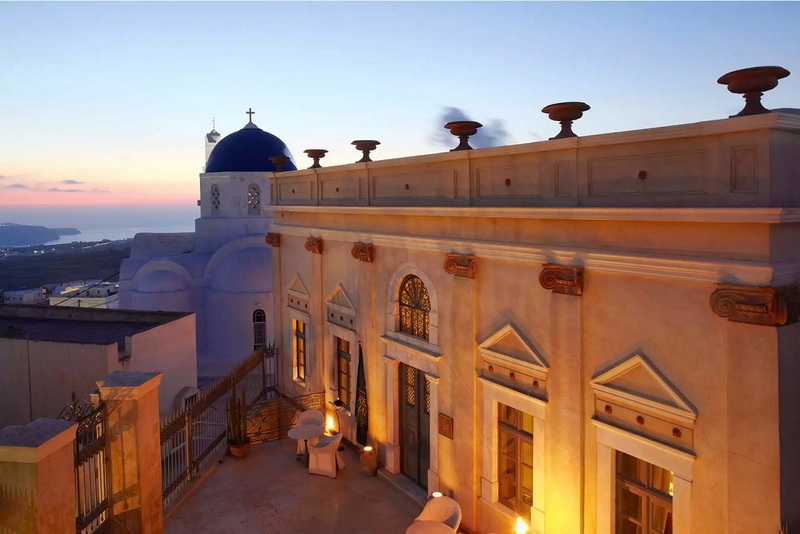 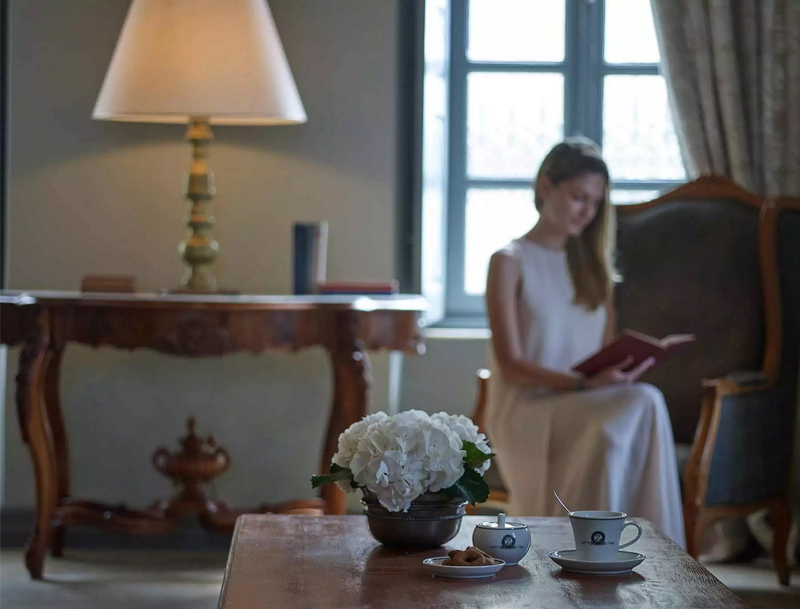 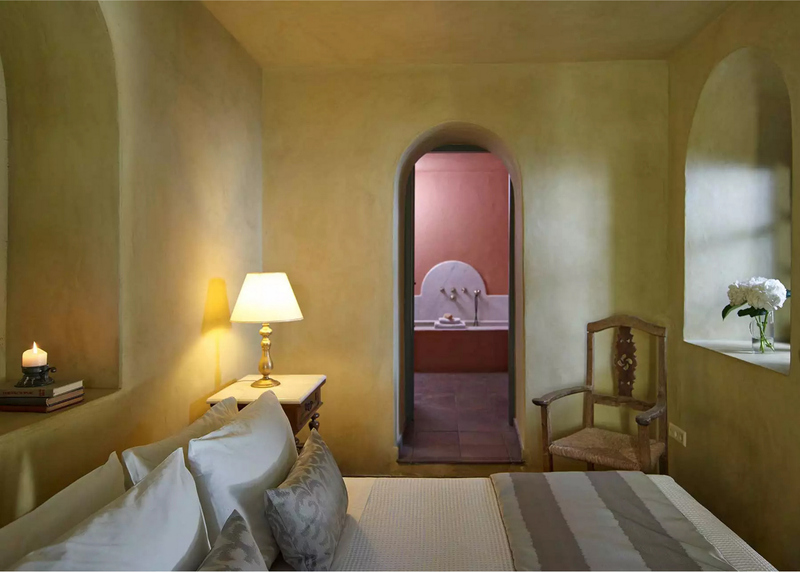 Surrounded by the beauty and mysterious aura of Santorini, the building preserves the noble grandeur of the 18th century without sacrificing the modern needs. 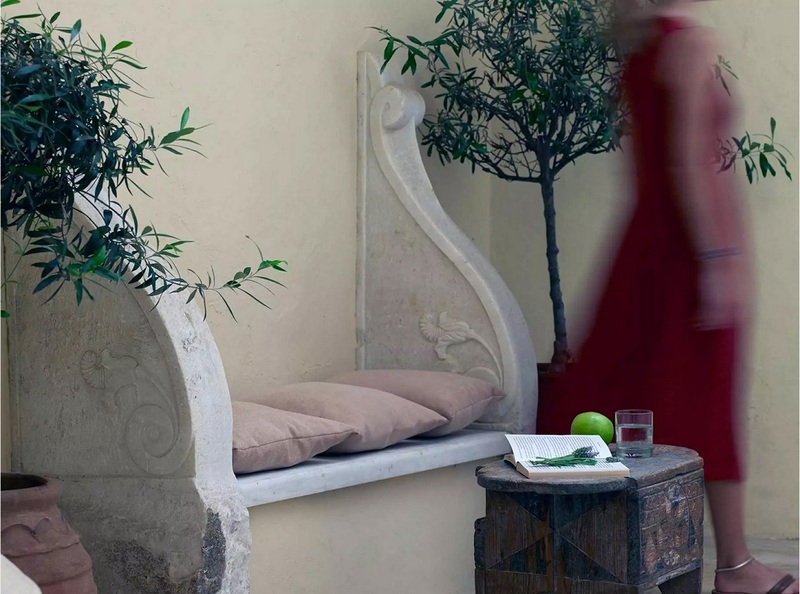 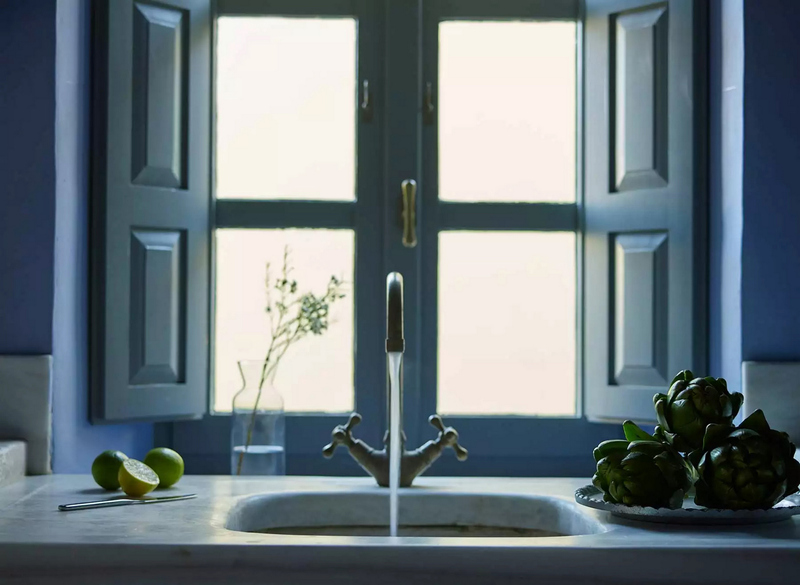 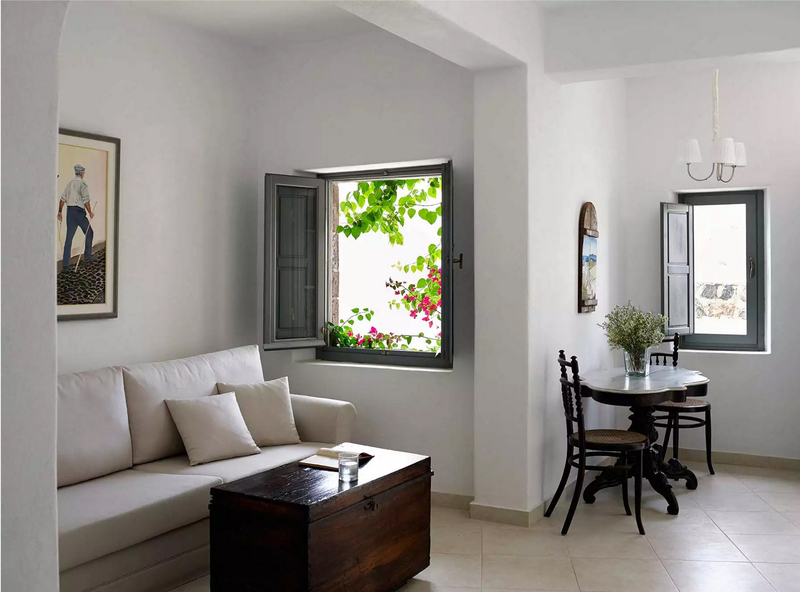 Zannos Melathron stands out for its eclectic appearance respecting the authentic tradition. 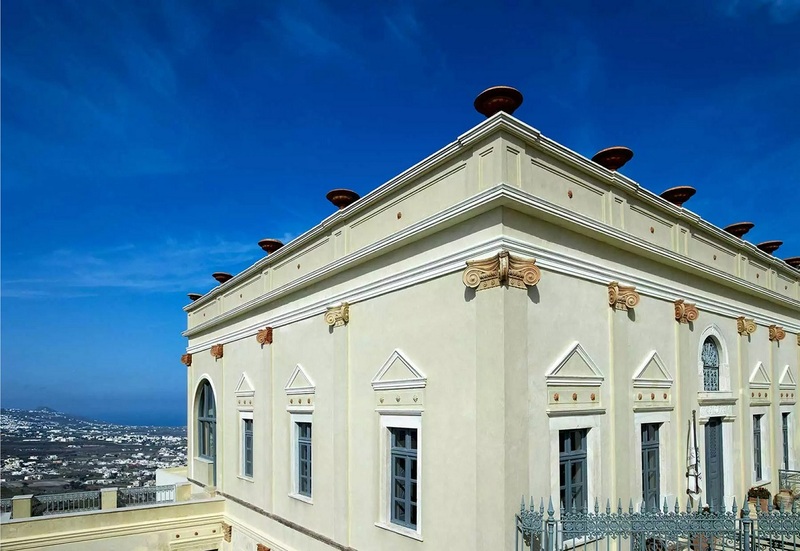 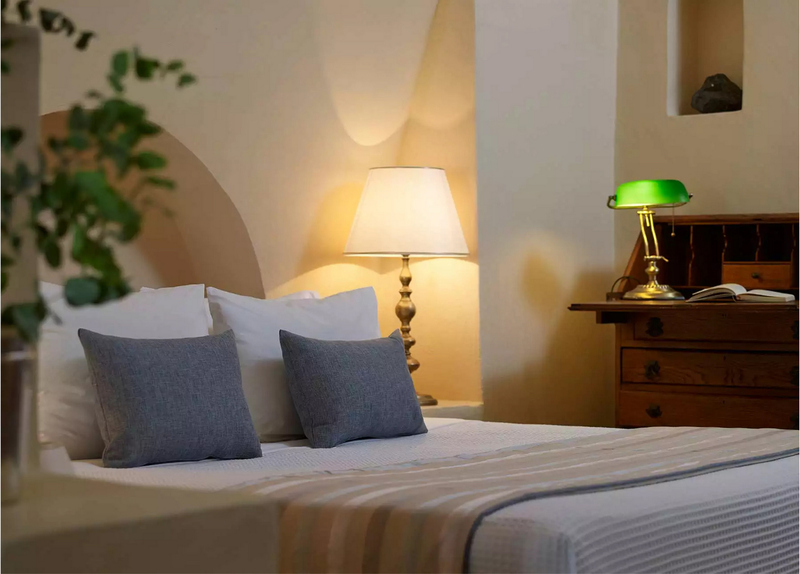 Characterized by its rich history, Zannos Melathron was primarily built in 1870, as a gift by Michael Zannos to the newlyweds Eroulia Zannos and Nikolaos Sorotos. 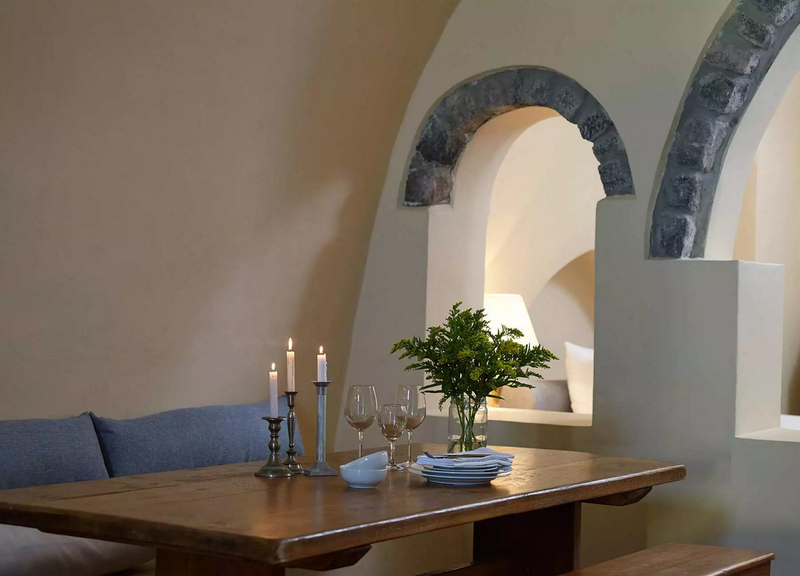 Zannos was a rich ship-owner and wine aficionado who lived in Pyrgos village with his family, although often traveling to Russia exporting the traditional wine of Santorini, Vinsanto. 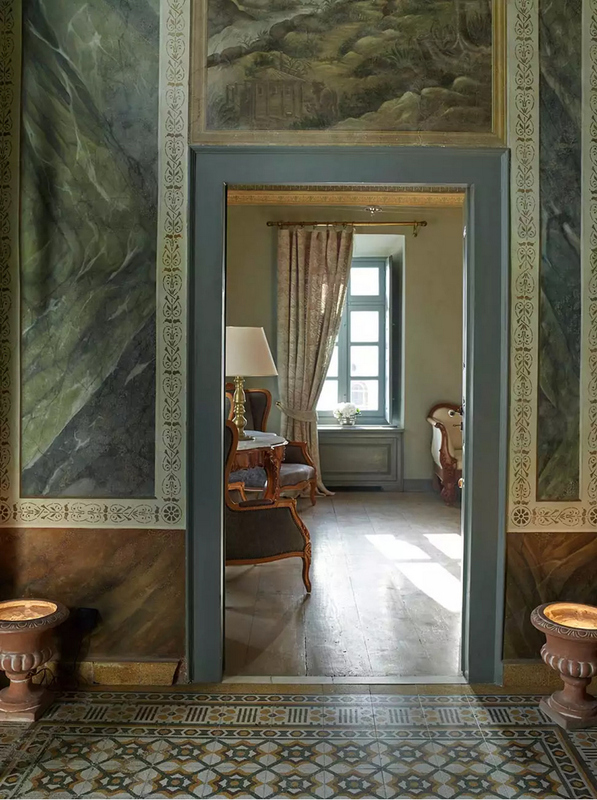 The building is a neoclassic residence with murals by a very famous painter of that period inspired by the Italian Renaissance. 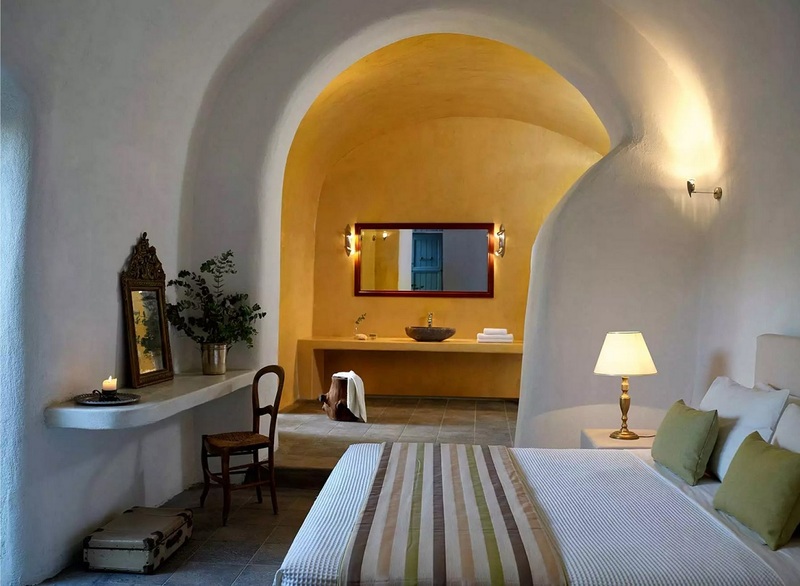 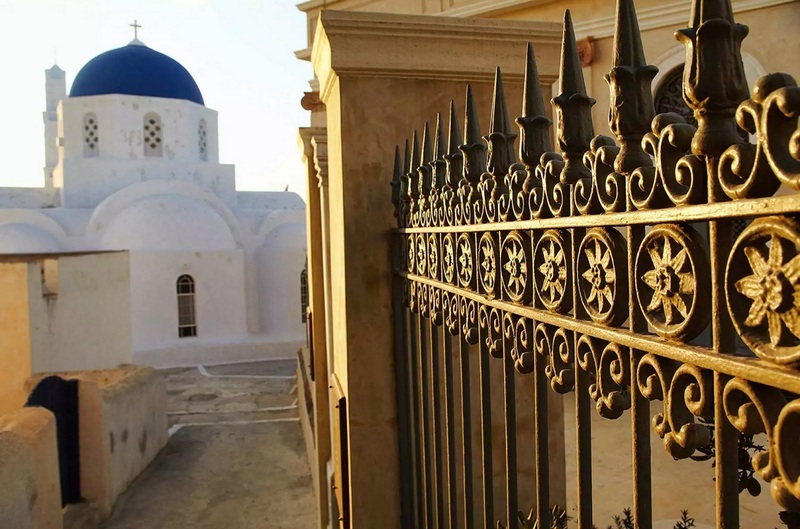 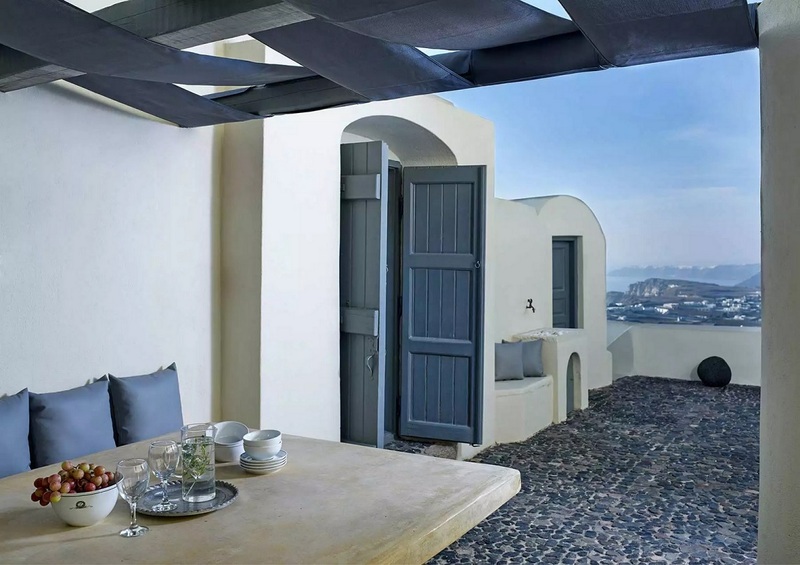 The residence is located at the entrance of the medieval fort of Pyrgos, which was also the home village of rich landowners and scholars of that period. 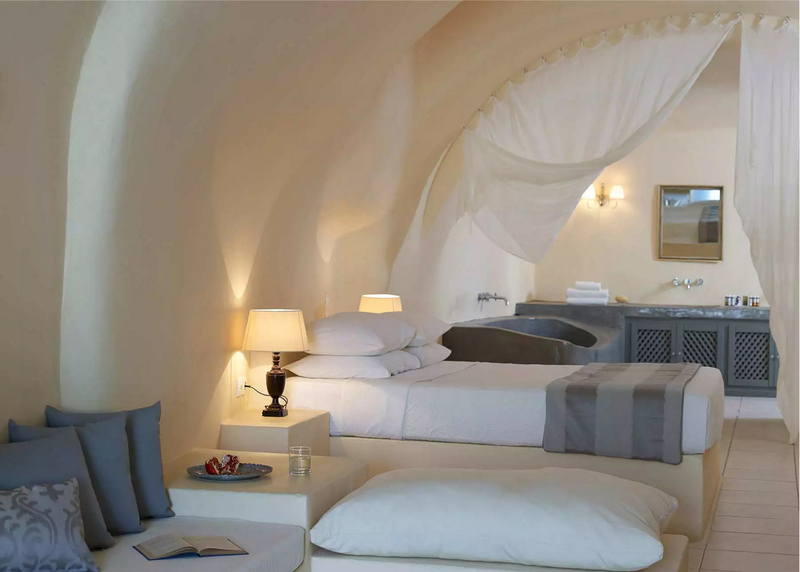 Zannos Melathron has all the modern accommodation needs while keeping its prime form and aesthetic. 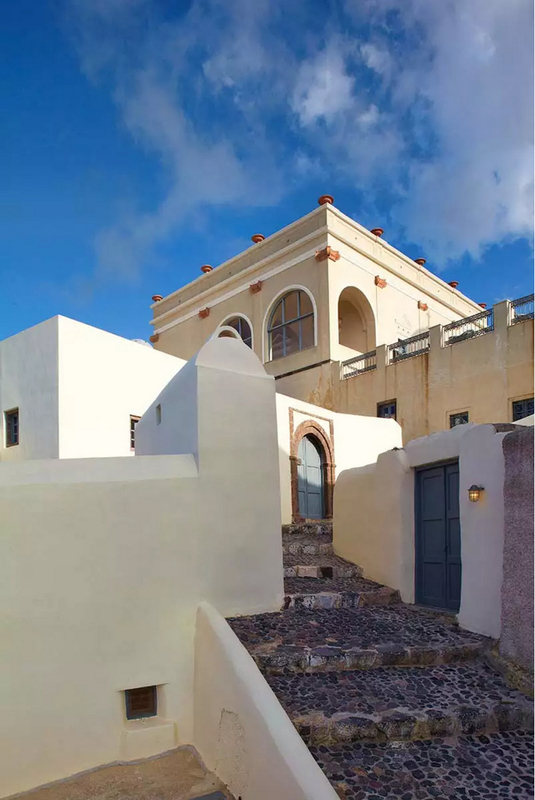 Melathron is a rare and unique building, being almost a rare representation of the neoclassic architecture among the characteristic Cycladic forms. 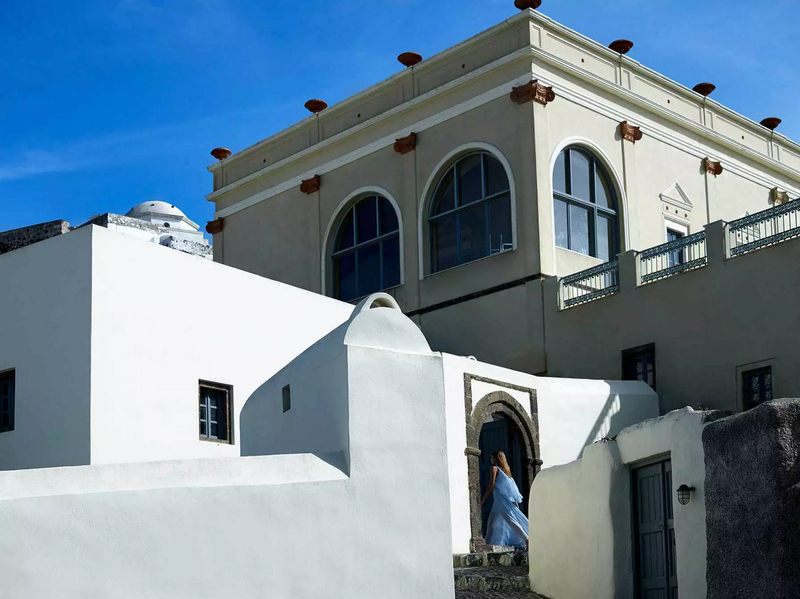 Through its expansion as a hotel, which included neighbor buildings, embodies the experience of the organic, fluid and minimal shapes of local architecture. 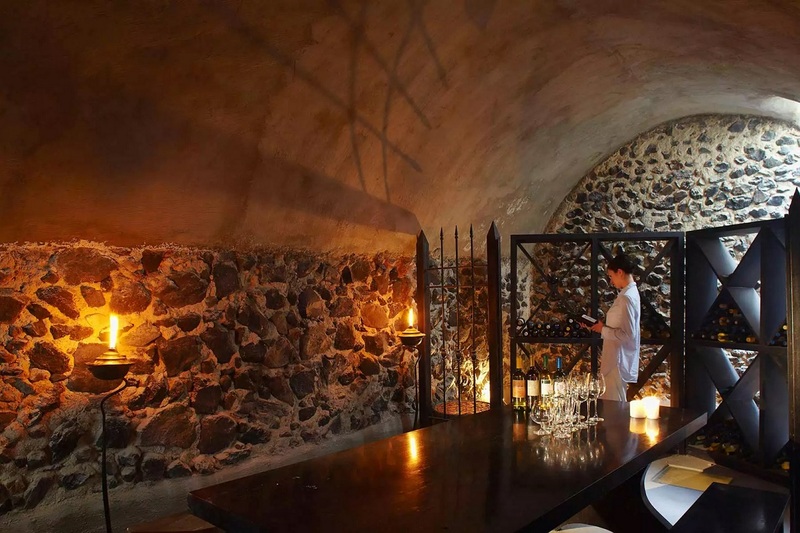 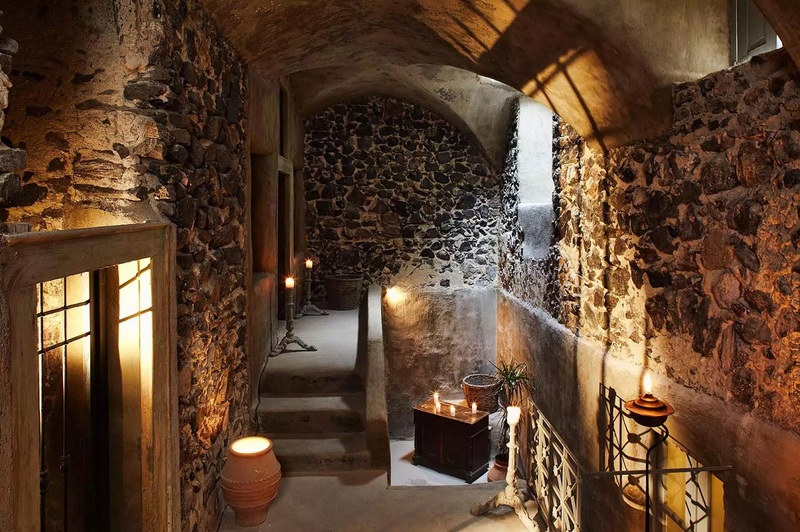 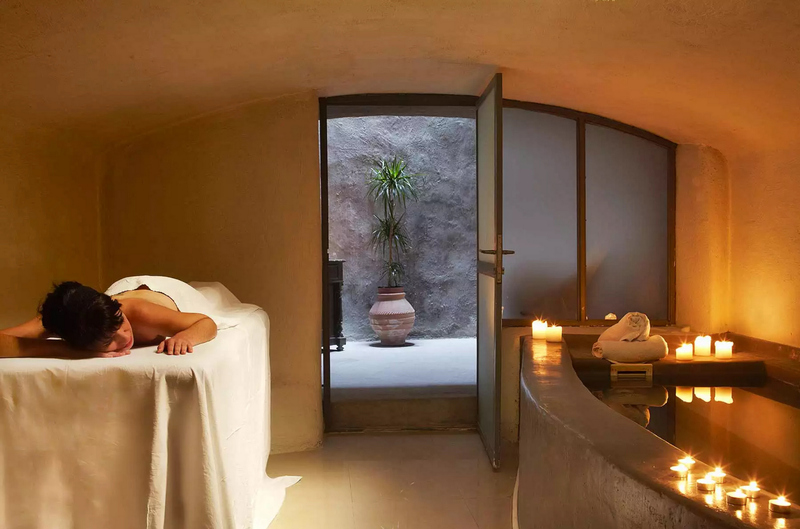 And it manages to fit more primitive archetypes of dry stone walls in spaces which hosts services like saunas, the wine cellar and outdoor areas. 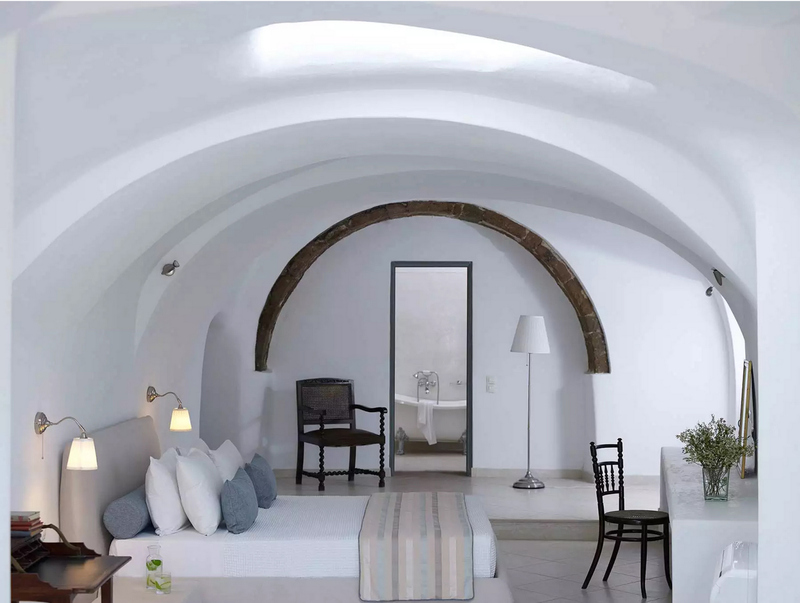 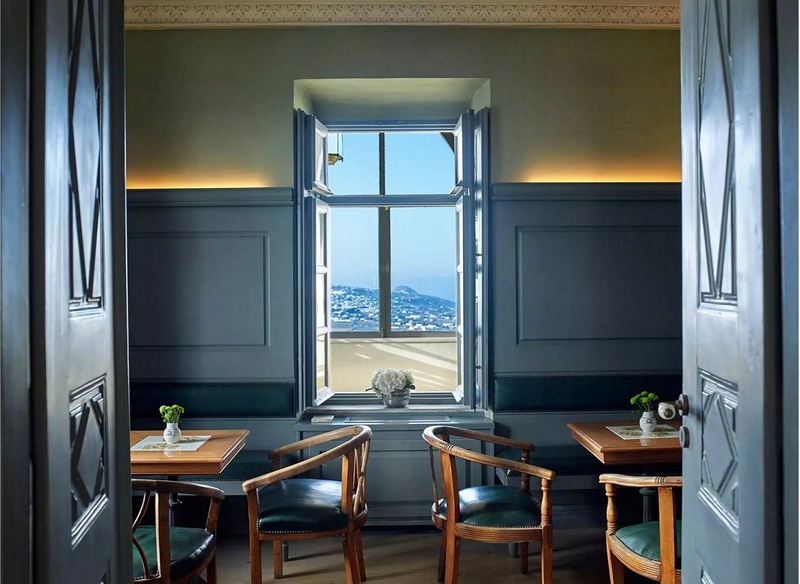 The neoclassical façade and floor arrangement influence the interior and offer a unique mix alongside Cycladic traditional architectural elements. 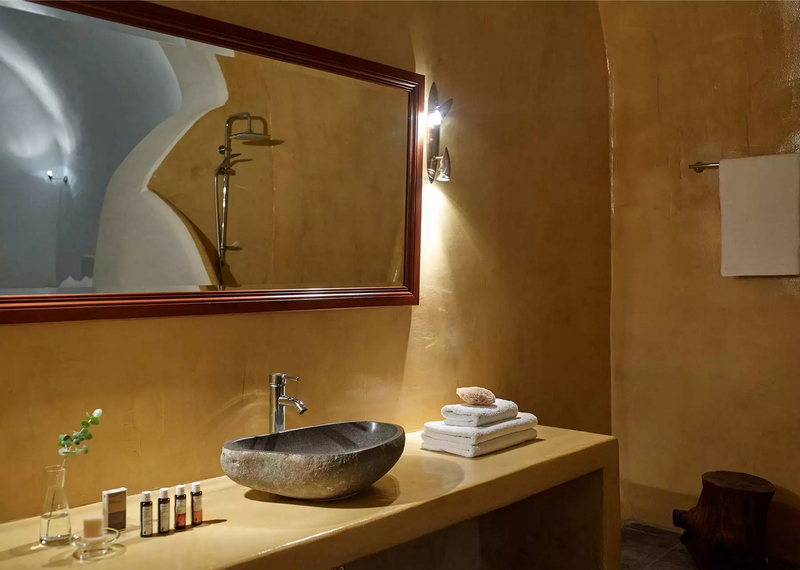 The modern amenities have a minimal but distinctive impact. 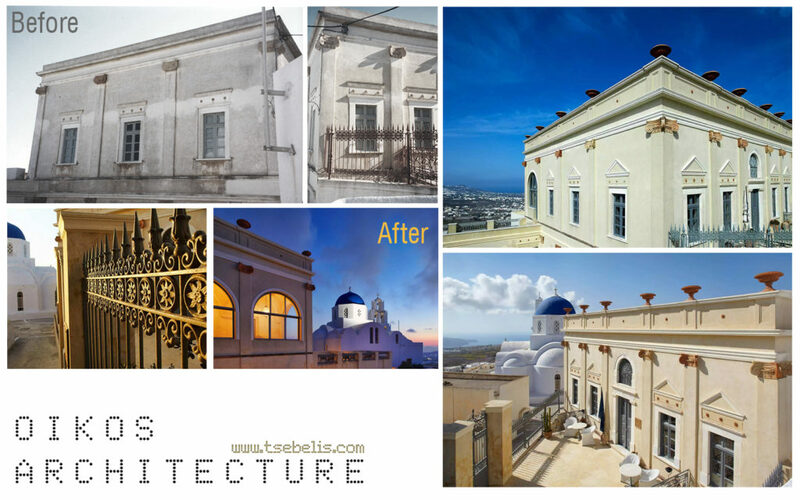 Oikos Architecture had the chance to accomplish a result which respects the local history and landscape. 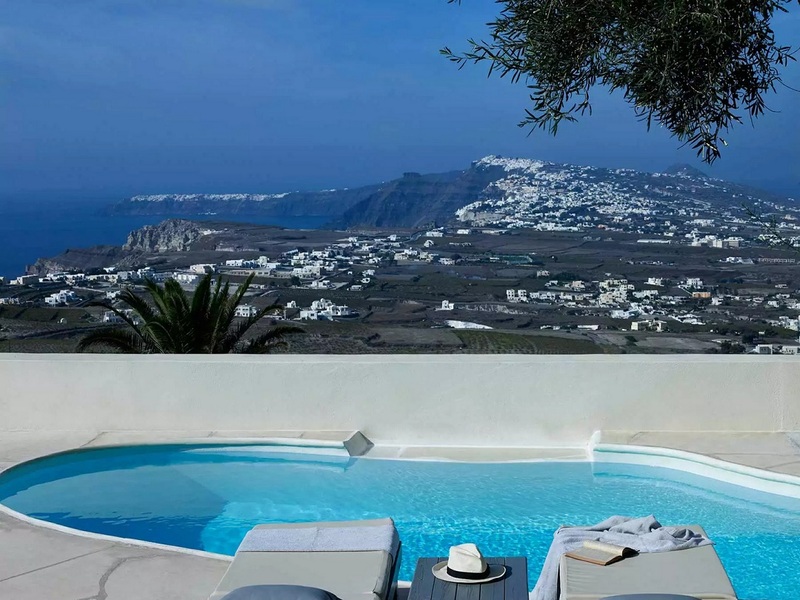 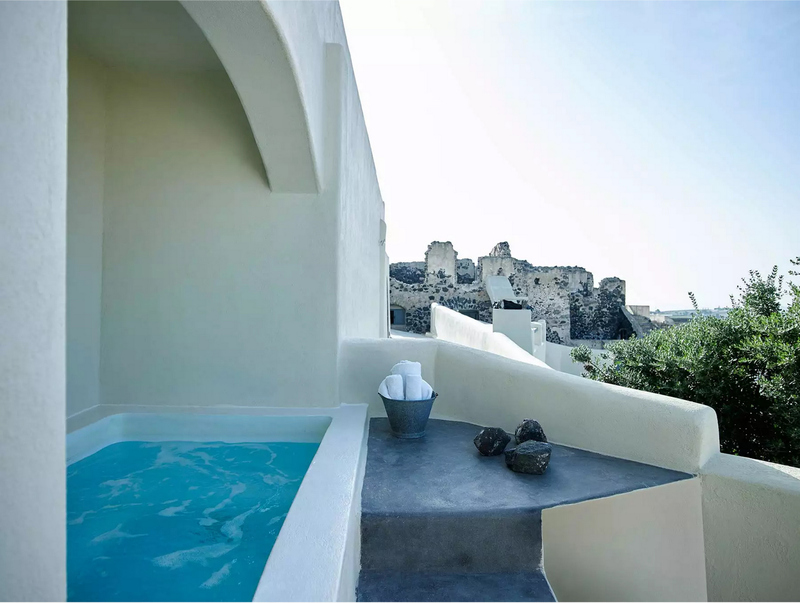 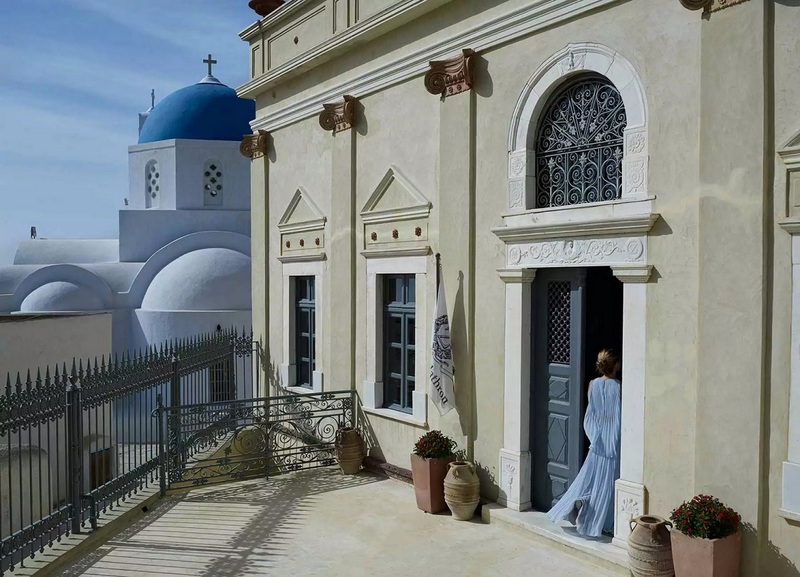 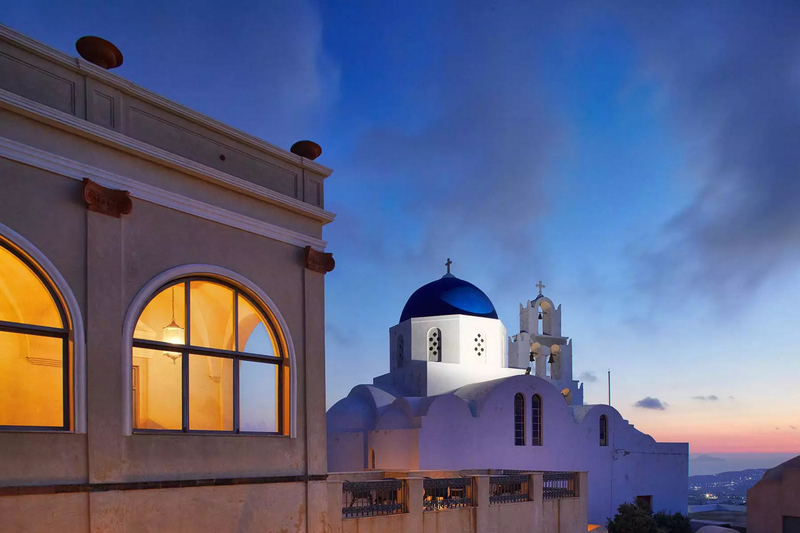 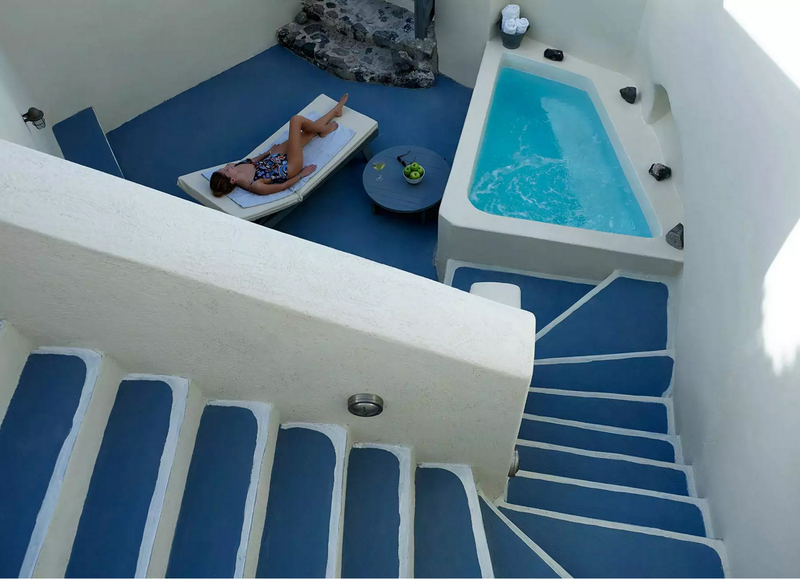 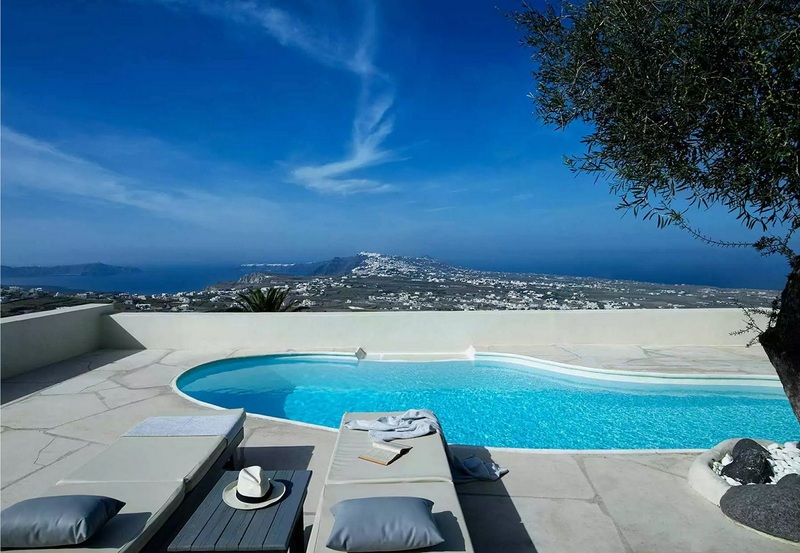 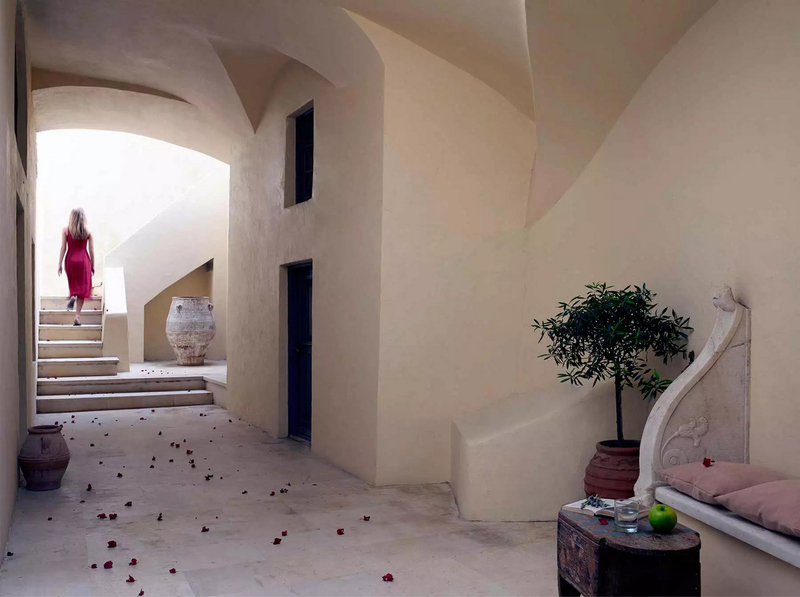 The building stands out not only in Santorini but also in the Oikos’ portfolio of projects.